DiffEqFlux.jl is a library for fusing neural networks and differential equations. In this work we describe differential equations from the viewpoint of data science and discuss the complementary nature between machine learning models and differential equations. 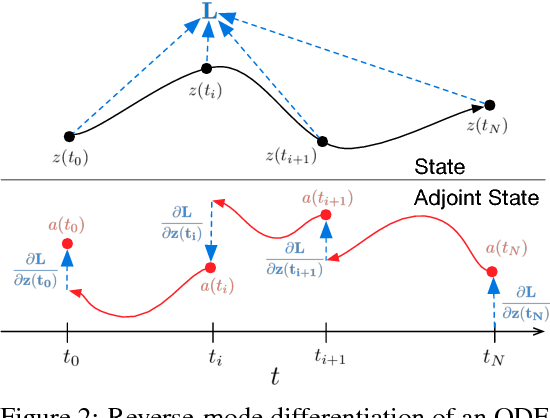 We demonstrate the ability to incorporate DifferentialEquations.jl-defined differential equation problems into a Flux-defined neural network, and vice versa. The advantages of being able to use the entire DifferentialEquations.jl suite for this purpose is demonstrated by counter examples where simple integration strategies fail, but the sophisticated integration strategies provided by the DifferentialEquations.jl library succeed. This is followed by a demonstration of delay differential equations and stochastic differential equations inside of neural networks. 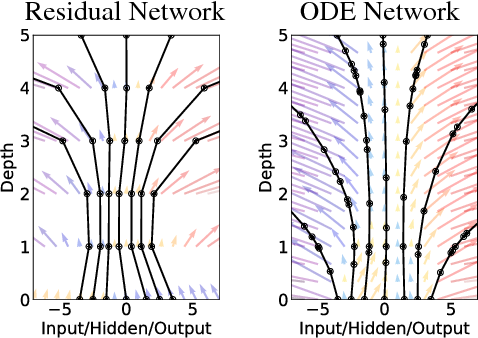 We show high-level functionality for defining neural ordinary differential equations (neural networks embedded into the differential equation) and describe the extra models in the Flux model zoo which includes neural stochastic differential equations. We conclude by discussing the various adjoint methods used for backpropogation of the differential equation solvers. DiffEqFlux.jl is an important contribution to the area, as it allows the full weight of the differential equation solvers developed from decades of research in the scientific computing field to be readily applied to the challenges posed by machine learning and data science. A promising class of generative models maps points from a simple distribution to a complex distribution through an invertible neural network. Likelihood-based training of these models requires restricting their architectures to allow cheap computation of Jacobian determinants. Alternatively, the Jacobian trace can be used if the transformation is specified by an ordinary differential equation. In this paper, we use Hutchinson's trace estimator to give a scalable unbiased estimate of the log-density. The result is a continuous-time invertible generative model with unbiased density estimation and one-pass sampling, while allowing unrestricted neural network architectures. We demonstrate our approach on high-dimensional density estimation, image generation, and variational inference, achieving the state-of-the-art among exact likelihood methods with efficient sampling.